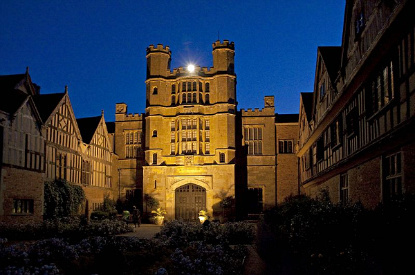 Ancestral home of the Throckmorton family since 1409, Coughton Court is one of the best example of Tudor stately home in England, with a remarkable collections of furniture, porcelain and family portraits. 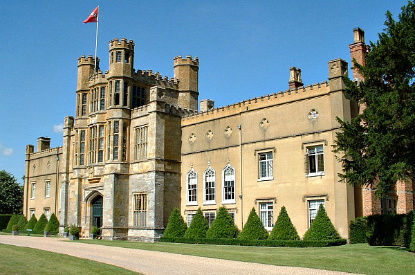 The present stately home was built in 1530. The gardens are a late addition from 1991 and grew to become some of the finest in England. There is a bog garden, vegetable garden, orchard and a riverside walk, but what has made Coughton Court's reputation is its walled garden and its rose labyrinth. The Throckmortons were partly involved in the Gunpowder Plot of 1605, in which a group of Catholic extremists led by Guy Fawkes attempted to kill King James I, his family, and most of the Anglican aristocracy by blowing up the Houses of Parliament during the State Opening. The plot was discovered only hours before the planned execution. Visitors can learn more about the details the Gunpowder Plot and its association with the Throckmortons at the exhibition at Coughton Court. Still unhappy of the Anglican dominance in the 19th century, the Throckmortons became leaders in Catholic emancipation, which aimed at reducing and removing many of the restrictions on Roman Catholics. Coughton Court is open all year round from 11:30am to 5pm. It is open from Wednesday to Sunday from 1 April to 30 October (also Tuesdays in July and August), and only weekends the rest of the year. The gardens close at 5:30pm, and the walled garden at 4:30pm. Admission is £8.25 for adults and £4.15 for children. Access to the garden only is £5.50/2.75. There are also discounts for families and groups. Coughton Court is located on the A435 road, about 4km north of Alcester, 9km south of Redditch, and 12km north-west of Stratford-upon-Avon. Bus No 25/6 from Stratford-upon-Avon passes close to Coughton Court.